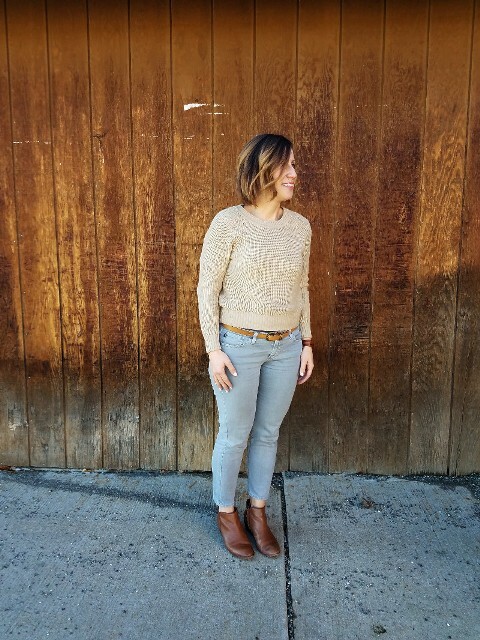 If you think that crop jeans are only for spring and summer seasons, you’re mistaken. You can easily create various cool and stylish winter outfits with them. And today let’s talk about ways how you can combine them and look unique and feel comfy. 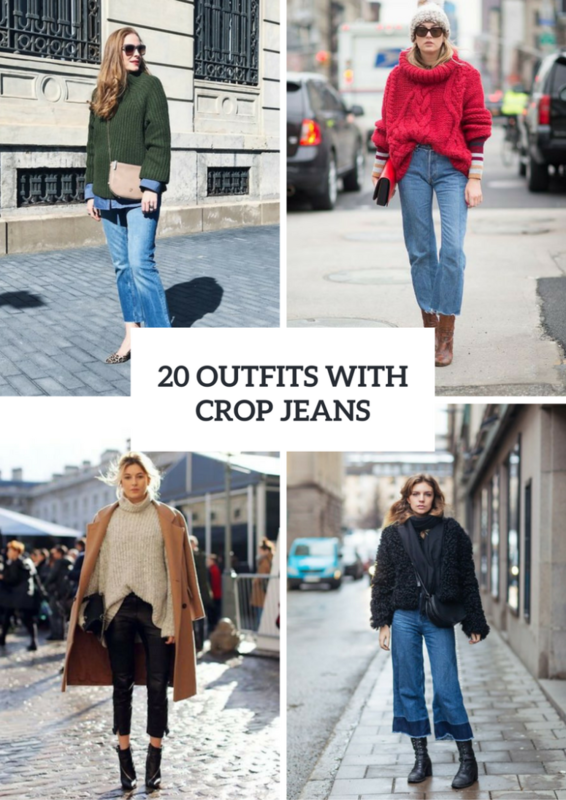 You can choose any types of jeans, for example, skinny, flare, straight, wide-leg crop ones depending on whole style and other pieces of clothes. 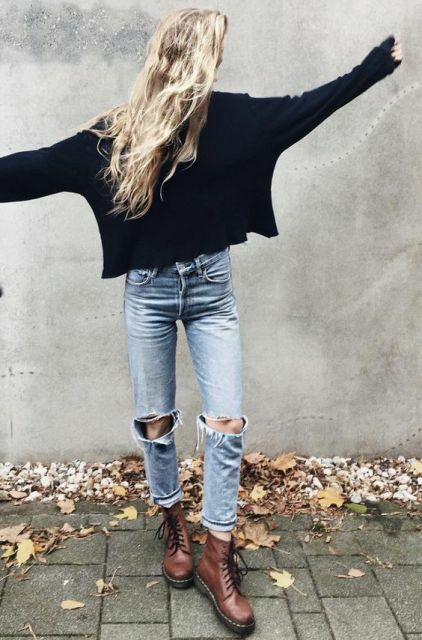 And, of course, don’t forget about the choice of a color, but no doubt the most popular jeans colors for winter are blue and black ones. Wanna see more ideas? Then look below. To make sporty or relaxed outfits you can take skinny crop jeans and combine them with white sneakers, a light blue printed hoodie and sunglasses. 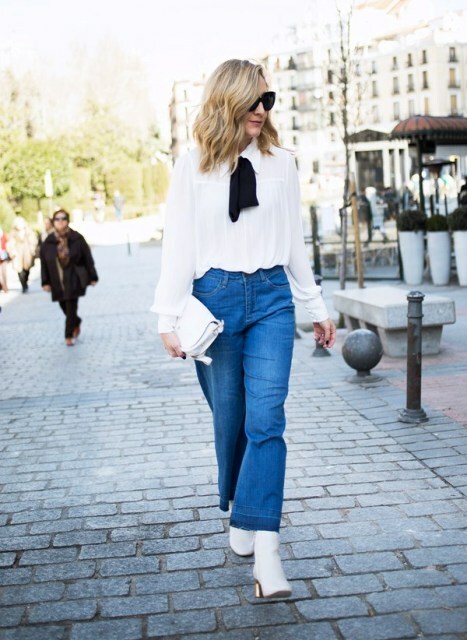 Or you can mix a white loose sweater, flare crop jeans and two color sneakers. 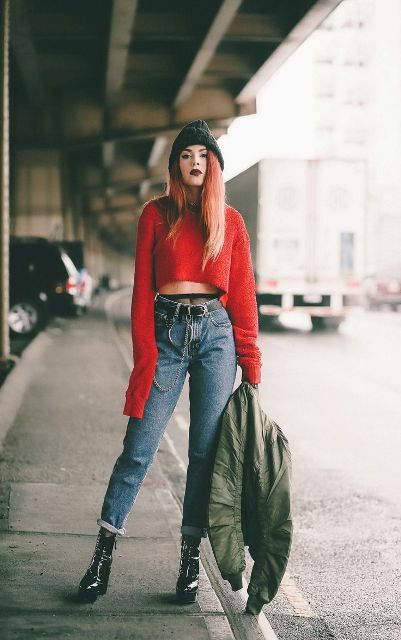 If you want to create a smart casual outfit for a cold weather, then pair a red oversized turtleneck sweater, a beige beanie, straight crop jeans, brown lace up mid calf boots and a red clutch. Some fashionistas add a faux fur collar to their sweaters or sweatshirts, so you can follow their examples too. 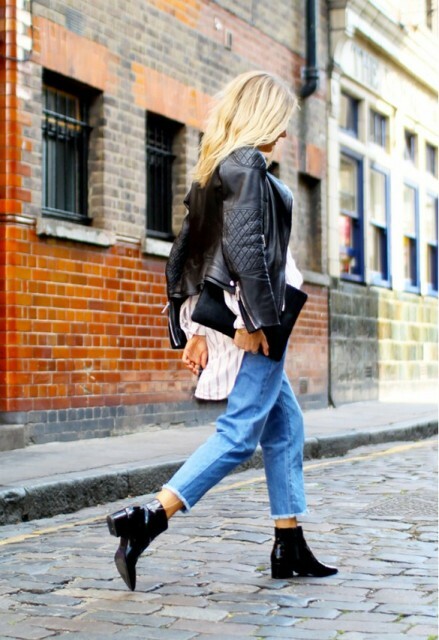 A leather jacket will always make your outfit more fabulous! Just mix a printed long button down shirt, a black leather jacket, straight crop jeans, black leather ankle boots and a suede clutch, and voila — all eyes will be on you! 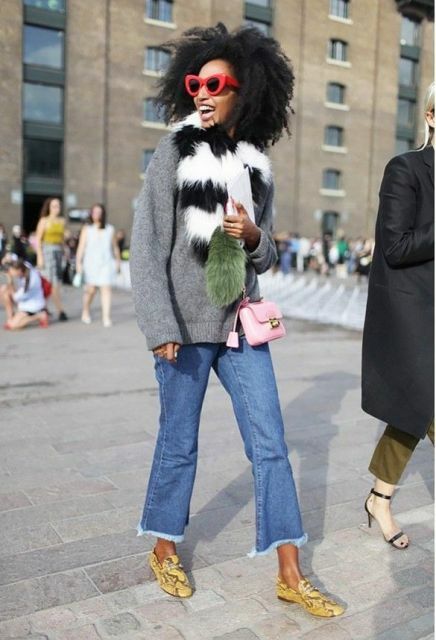 You can experiment with a faux fur jackets too, for example, you can take a black fur jacket, wide-leg crop jeans, lace up flat boots, a black scarf and a crossbody bag. 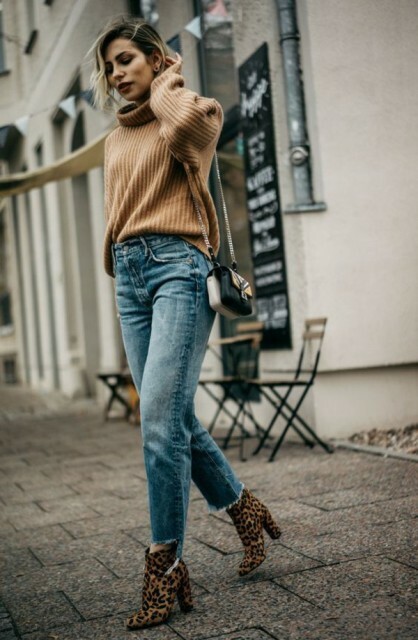 If you love original ideas, then pay your attention to an outfit with a gray maxi coat below: you can just add to it a navy blue turtleneck, low rise crop jeans with a belt and burnt orange suede boots.